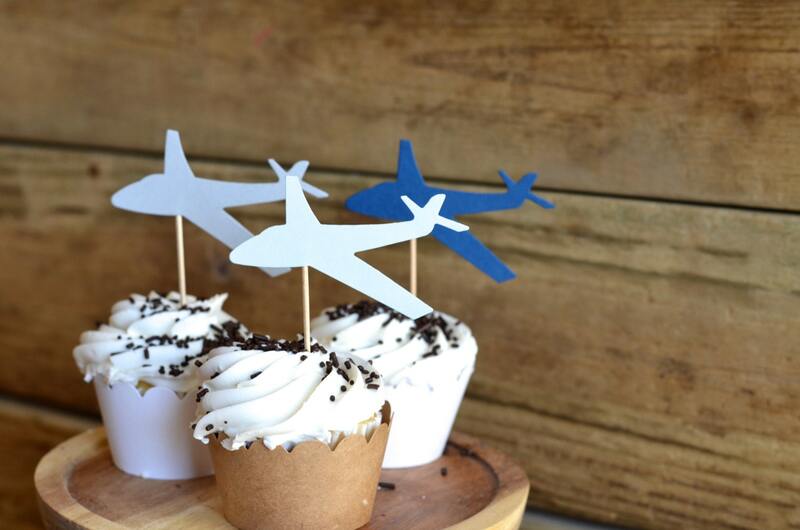 Airplane Cupcake Toppers - Choose from white, blue, grey, yellow, kraft, or a combination! 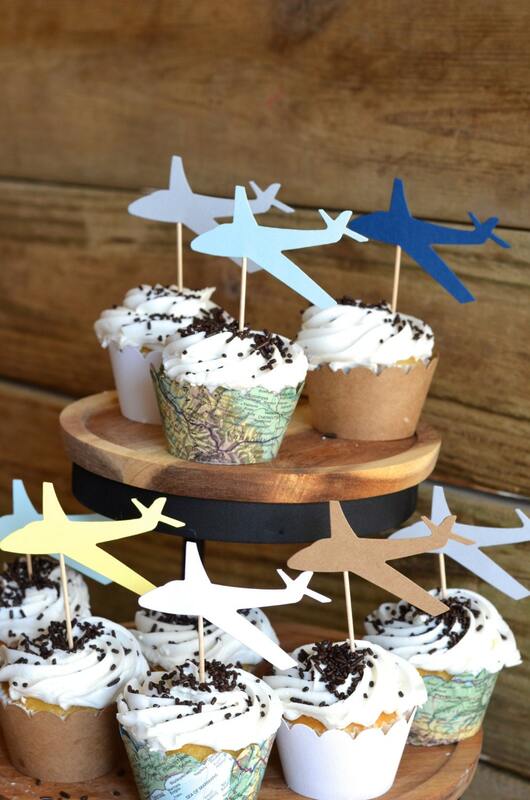 A whimsical set of 12 airplane shaped cupcake toppers that will make your party soar! 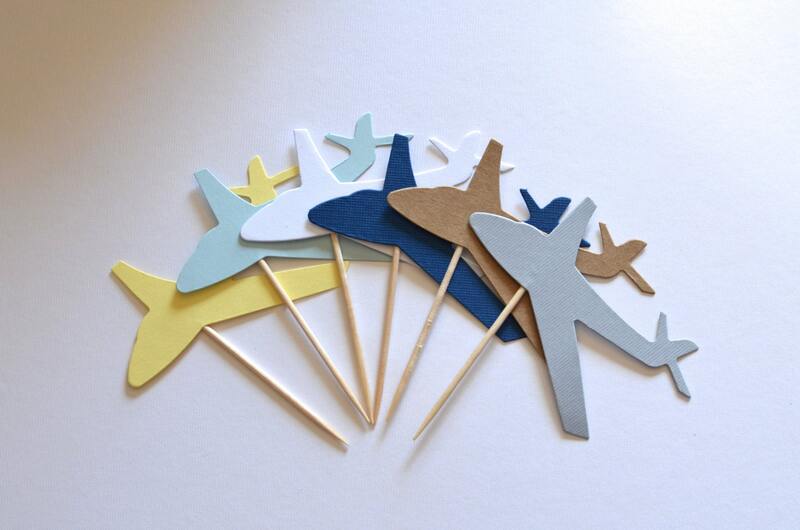 Each pick is made using airplanes cut from gorgeously hued heavy weight paper and is double sided (so that there isn't front or back - they look amazing from every angle!). Each paper plane is 3 1/4" across. Choose from a color combination (2 of each color) or a dozen in the color of your choice! 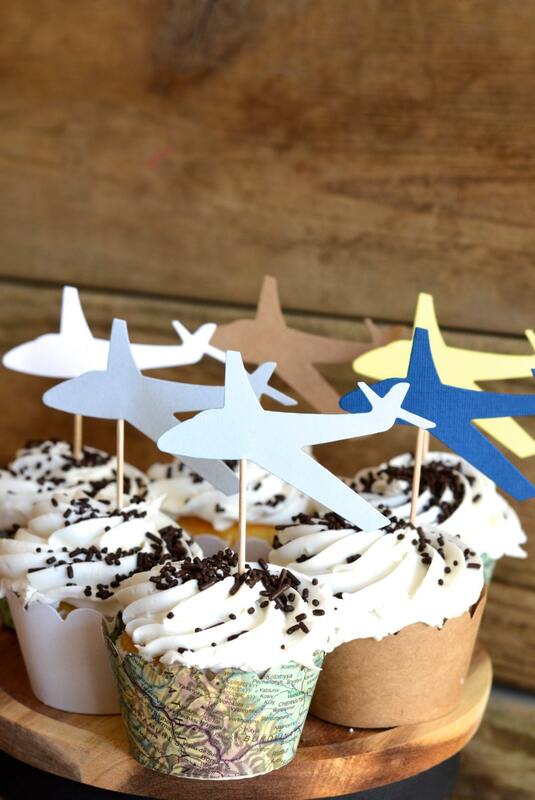 Pair these airplanes with our cloud cupcake toppers https://www.etsy.com/listing/130722251/cloud-cupcake-toppers-12-pieces?ref=listing-14 and the coordinating neutral wrappers https://www.etsy.com/listing/201834711/classic-scalloped-cupcake-wrappers-the?ref=shop_home_active_14 for a delightful display at your next party! - are you looking for a larger quantity or different colors? 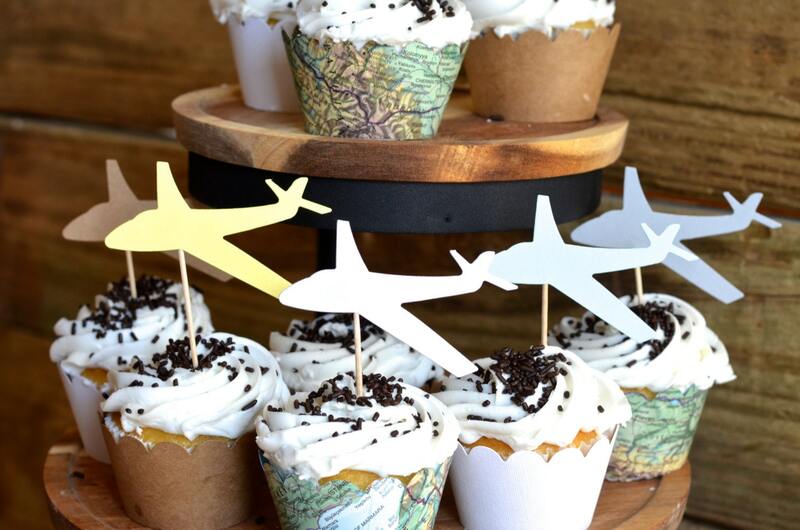 We have other colors here https://www.etsy.com/listing/197457660/planes-cupcake-toppers-12-pieces?ref=shop_home_active_10 or send us a note and we'll get a custom listing set up for you - we love custom orders! Would you like to see more? Visit our blog www.pltmarket.com/blog/ for DIY tutorials, real parties and giveaways! Bought these for a baby shower and so excited to use them! Beautiful product and packaging! Appreciate a few extra in case of a mess up! Thanks for the quick delivery- everyone LOVED these at the shower! !